Looking for cheap, affordable and reliable grab hire prices in Leatherhead Oxshott? 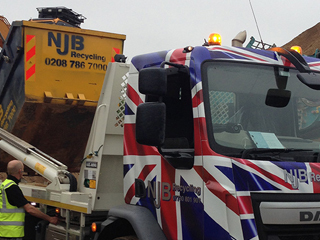 NJB Recycling are the best at recycling, house clearances, removals, dump runs, disposals and heavy duty collections – and what’s more, we can be with you the same day you book. In need of grab hire cost in Leatherhead Oxshott but are unsure who to start asking? We’re the ones to call. You can either get in touch with us via phone or you can book grab online. 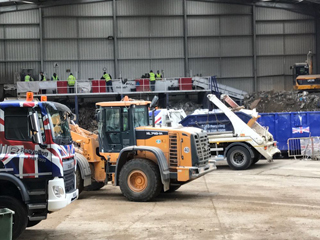 There’s no need to worry about slicing up your budget, either – as our focus is on getting grab lorry vehicles to you for less – but at the quality and professionalism you deserve – and require! We love what we do and we’re always pleased to generate savings regularly for our customers. Hiring us is simple. Get in touch with our top team for instant access to grab wagon hire with a difference – we’re a friendly firm that is always happy to make visits to house, domestic and commercial projects throughout London, South London and Surrey – and grab hire prices shouldn’t ever put you off getting in touch with a company. We have that ‘near me’, local appeal – we’re proud of where we’ve come from and are proud to be able to continue supporting local firms and households. Grab truck hire and grab wagon hire in Leatherhead Oxshott just got a whole lot easier – and cheaper! Low cost, budget-friendly grab lorry support when you need it – it all starts by calling us today on 02087867000 or by booking the best date online for you. Who knows – we may even be able to get to you the same day you call in! Give us a try!